The event was held in the premium lounge and when myself and Penny arrived, a styling presentation from Lilah Parsons (model and MTV presenter) was taking place. She wore a Coachella-esque fringed Superdry leather jacket, that had her initials on the back, in colourful varsity letters. 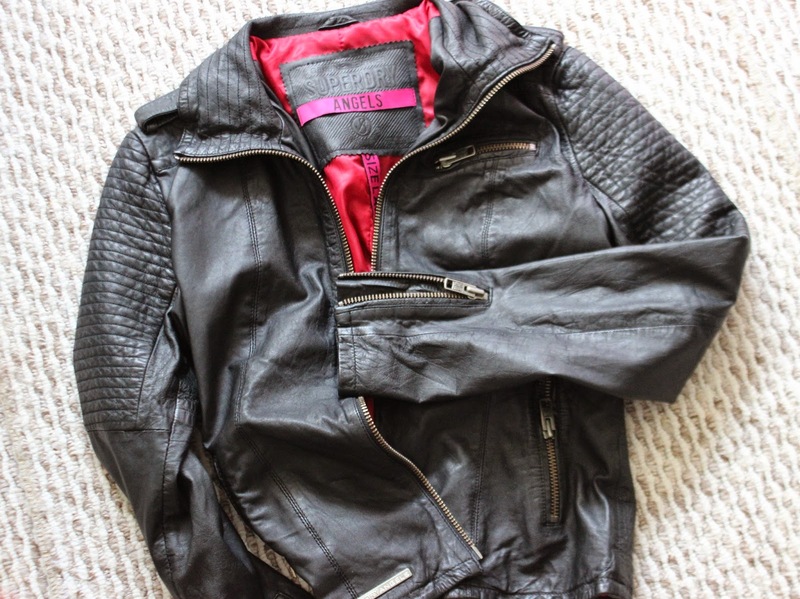 This leather jacket is actually very popular amongst celebrities, such as Cara and Poppy Delevingne. After the presentation finished, we listened to music from The Fireflies, a soulful, acoustic duo. You can check their music out here. Next we browsed the rails and I must admit, quality aside, in the past I have never been the biggest fan of Superdry. I find their clothing to be quite sporty and masculine and I don’t really like the fact their logo is largely visible on their hoodies and t-shirts, but I was pleasantly surprised with the new collection. The collection is feminine, simplistic and wearable with sequin dresses, pretty printed collared shirts and leather jackets. It was the Superdry leather jackets that caught my eye on the evening, they are unbelievably soft, some of which are also beautifully embellished. The new collection has totally converted me and I will without a doubt be adding a couple of pieces from the new collection, to my Christmas wishlist! After being introduced to the lovely Katerina (from Carousel Diary) we took the opportunity to take a dip into the pick 'n' mix and dive (not literally) into a chest of Chi coconut milk. Whilst sipping my chocolate coconut milk, myself, Penny and Katerina talked all things blogging. It was lovely meeting fellow bloggers. I must thank Superdry and Maddie from the Joe Blogs Network, I throughly enjoyed myself and can’t wait for next years #FNO! 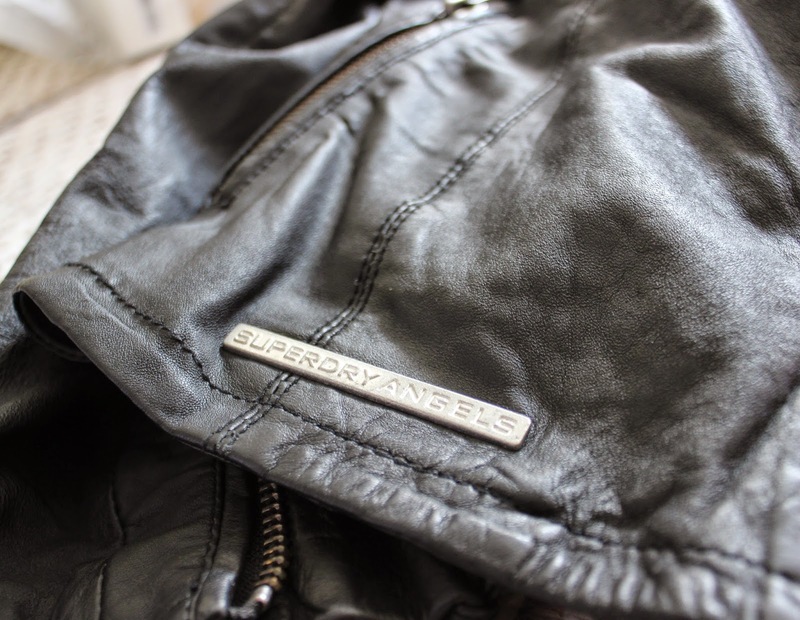 I was also very kindly gifted a Superdry Saint Tall Leather Jacket and I love it! It’s an autumn essential, the leather is super soft and the jacket has three front pockets, zipped cuffs and a playful colour lining. If I designed a leather jacket this would be it! I have already got a lot of wear out of it and I’m certain it will be a staple for the autumn, winter months. I wore it to the event, with my new Topshop dupe boots. Thank you Superdry for the generous gift! You can check out Superdry’s A/W collection here. Did you attend the Vogue Fashion Night Out?